Emma has been swimming now for 8 months and is absolutely loving it. I was a little apprehensive to take her at first as she wasn’t exactly what you’d call a water baby from day one. When she was 2 weeks old, I gave her a bath and she screamed while holding onto my shirt for dear life…quite the contrast compared to friends who said their babies of the same age loved it and were splish splashing away every night. 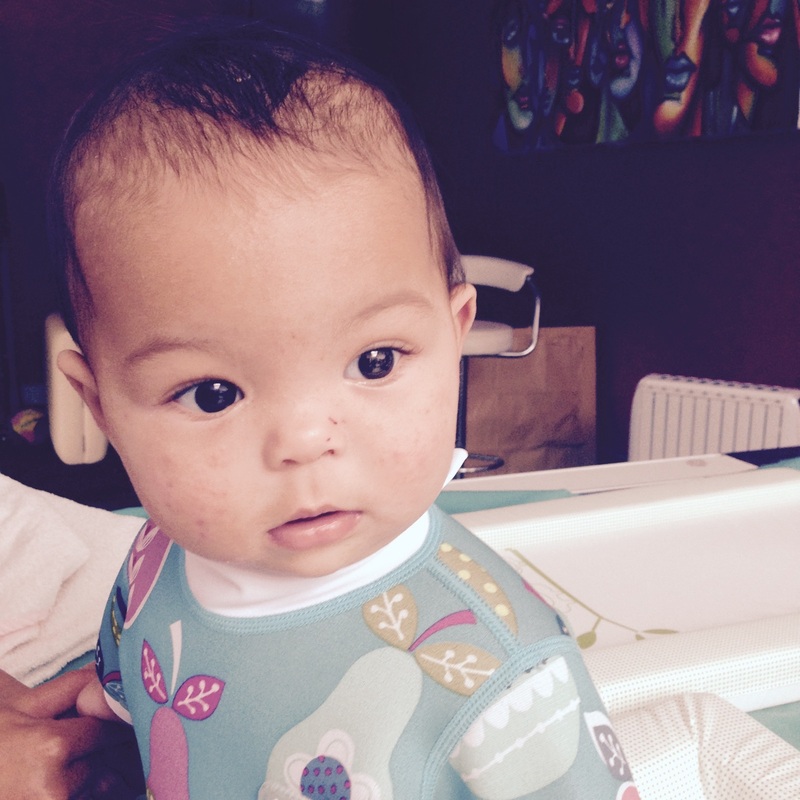 At 3 months, I started a babies course in Lewes, just outside of Brighton. I don’t think I was prepared for this at all – Emma seemed to find the whole thing really overwhelming and would stare at the spotlights on the ceiling until 20 minutes later she’d have a meltdown, with 10 minutes of the class still to go. Then there was the dressing your baby in the cold changing room, frantically grabbing the nappy and sleepsuit as they scream, like you’ve just put them in boiling water. Over the weeks, I got really good at the speedy change to keep her warm and even invested a zip up sleepsuit so I wasn’t faffing with the buttons in a frenzy! After the 6 weeks was up, I had a think about it all – I found it all a bit stressful and had begun to dread going every week. The class itself involved a bit too much underwater swimming, so I decided to look for another class and see if there was any difference. Flippers and Fins Swimming Club is based in Hassocks, but they have a few classes in Brighton at a private residence just five minutes drive from where we live. A friend of mine recommended it and I thought I’d give it a go, as I really wanted Emma to keep her swimming up. 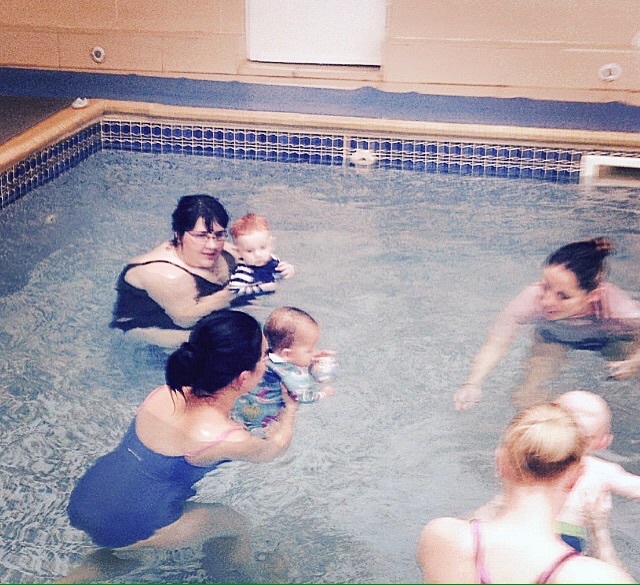 It was a perfect fit for us: there was only 4 babies + mum maximum and as it is a private pool, there is an intimate feel to the class. Doing the classes with a good friend seems to work well too, the familiarity is a comfort to the babies. Our teacher is lovely too, and fantastic with the babies; I find her very responsive to how the babies are feeling. On the weeks where Emma was a bit tired or grumpy, she’d automatically tell me to miss an underwater swim to give her a breather. 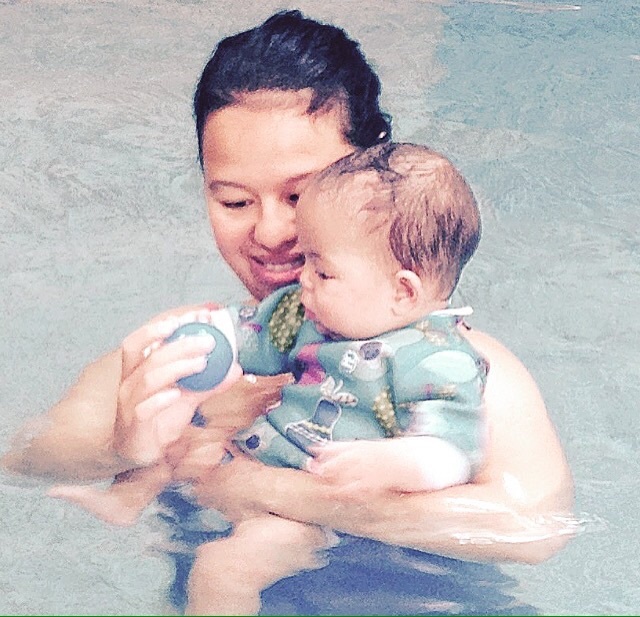 The classes are gentle – lots of singing with the babies and also practising underwater swimming that progresses gradually. We started off with just a simple underwater swim with me holding Emma and then progressed onto the same swim but letting go of her for a second or two. Now when we do a swim, she closes her eyes and kicks her legs lots too, which is incredible to see! I’m so pleased we stuck to it and found a swimming class Emma loves – it’s been fantastic for improving her confidence in water and her coordination too. It’s been a lovely thing to do together and we’ve now started onto the advanced course. 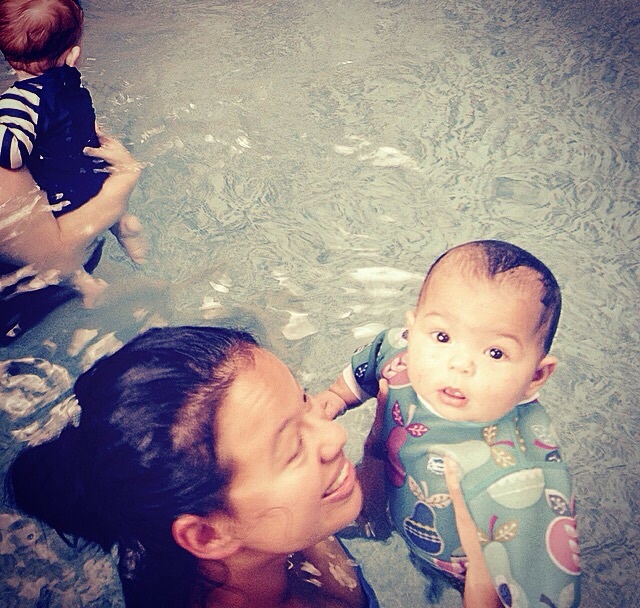 Did you try baby swimming with your little one? Let me know in the comments below! It’s an honest and detailed account of how Emma ‘ s eventually enjoyed swimming. Your experience and perseverance is a good guidance to new Mums wanting their babies to start a new activity.